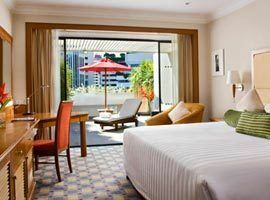 The best hotels in Sukhumvit Road Bangkok include big names on the luxury 5 star accommodation scene, but also affordable places to stay as well as clean and reliable budget accommodation. 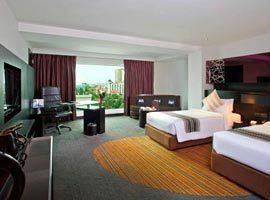 Below we grouped together what our researched identified as the top hotels in the area for all of which you now have the opportunity to secure cheap deals and discount rates. Sukhumvit Road is endless, by far the longest in the country. The Soi's (streets) crossing over this main artery is not where the primary street markets are found, but will see you in the perfect location for easy access trendy dining outlets and nightlife hang-outs especially in the area of Thonglor and Ekkamai. It also feature 2 infamous Bangkok red-light districts namely Soi Cowboy on Soi 23 and the Nana Plaza entertainment zone on Soi 4 where flashing neon lights announce the raunchy go-go-bars. But don't let this put you off booking accommodation around the Sukhumvit area because it is extensive and these are only two short streets which takes moments to walk through, something you might want to do just for fun. And, though there is a lack of street markets, shopping malls are plentiful, plus this modern part of Bangkok is extremely well serviced by the MRT underground and BTS skytrain. 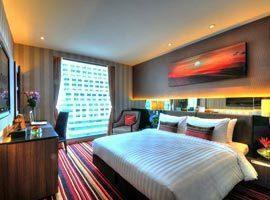 For your convenience we list hotels near skytrain stations in the immediate vicinity at the bottom of this page. Featuring a garden pool and finess centre near shops, restaurants, Soi Cowboy and Terminal 21. Modern and trendy it features a rooftop pool. 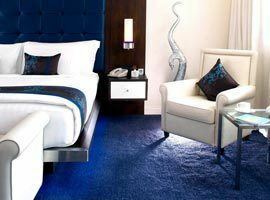 Avant-garde rooms with blue therapy light. Located in popular area between Nana and Asoke BTS featuring rooms with equipped kitchens. 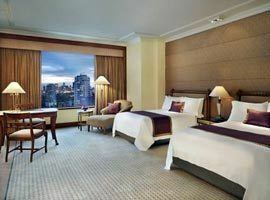 The best 5 star hotel near Nana Plaza and a few steps from Ploenchit BTS Station and central Chidlom. 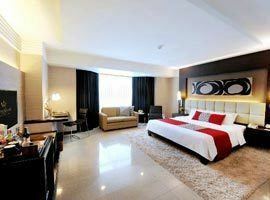 Sophisticated and elegant luxury accommodation near Nana Plaza. Spa with couples treatment rooms. 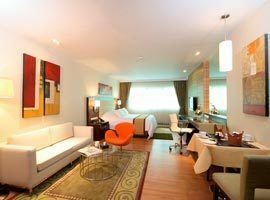 Cozy rooms and suites with separate living areas and equipped kitchens featuring washing machines. Stylish boutique accommodation with stunning city views near Nana BTS. Offers a pool, gym and spa. Features an outdoor pool in lush tropical gardens and connected directly to skytrain platform. 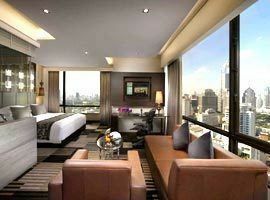 The height of luxury near Asoke BTS and Terminal 21 Mall. Features a rooftop pool and fitness centre.